This article is about the author. 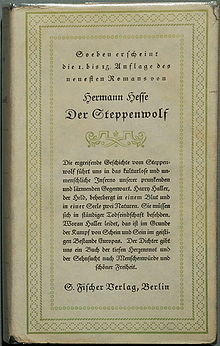 For the German Bundesland, see Hesse. 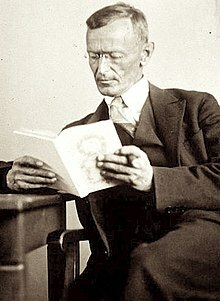 Hermann Hesse (2 July 1877 – 9 August 1962) was a German-Swiss poet, novelist, and painter. In 1946, he received the Nobel Prize in Literature. His best known works include Steppenwolf, Siddhartha, and The Glass Bead Game (also known as Magister Ludi). This page was last changed on 15 November 2018, at 05:56.